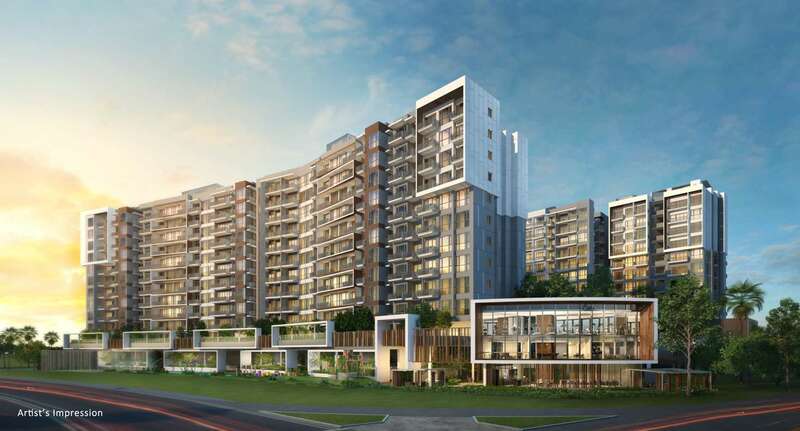 Forest Woods is a 99 years leasehold Singapore condominium in Lorong Lew Lian in district 19. It consists of 519 residential units with 1 - 4 bedroom unit type and 12 storeys tall. Forest Woods is a long awaited (approx. 10 years) Singapore condo new launch within walking distance to Serangoon MRT and NEX. It is also connected to 2 expressway (CTE and KPE) to bring you to any part of Singapore. Food court, supermarket, hawker centre are within easy reach from Forest Woods. 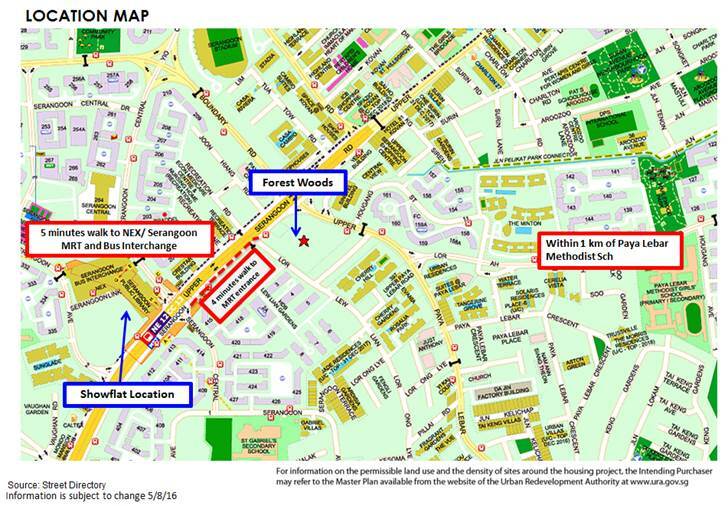 Paya Lebar Methodist and Yang Zheng Primary school are also within 1 KM. Invest in the best upcoming development in Serangoon by most BCA awarded developer, City Development. The project comprises 7 blocks of 12-strorey residential towers, with a total of 519 units (approx. 46,000 sqm GFA). The blocks are purposefully arranged to maximize block-to-block spacing. The site planning concept aims to create spaciousness within an odd-shaped site. In terms of the architectural design, the blocks are articulated by alternating frames and overlapping lines of varying depths, to create intertwining envelopes of overhanging ledges. The façade is complemented by the vibrant blue-&-green landscape that melds from a “forest walk” theme at the eastern end of the e-deck, with a more orderly and manicured design at the western end. In addition, smart home automation for all the units inside. Posted in Singapore and tagged city development, condo in serangoon, condo near mrt, condo near nex, forest woods, singapore condo, singapore new launch.